As a teen I had problematic skin to say the least, it seemed everything I put on it broke me out: face wash broke me out, so I purchased some concealer which - you guessed it - further broke me out - which then lead to foundation... It was never ending! All I wanted was something that didn't break me out or dry out my skin - I wanted something that worked that I could reasonably purchase with my pocket money. Several years late, after suffering through product, after product, after product - I've found it! I first heard about Amie Skincare back in the days of lipgloss and Sugar magazine. It was shortly after the company had established and you couldn't pick the product up anywhere in my small town, and I wasn't quite old enough to have sussed out internet shopping. But what really stuck with me was how the brand was created, and I still remember that to this day (even if I did have to refresh the names a little). The line was created by ex-Estee Lauder Exec Fiona Parkhouse for her daughter Samantha who was suffering from extra-oliness and breakouts (just like me, and probably millions of other teens!) and she was also having problems with the current harsh or abrasive skincare that was currently on the market. I really empathised with this girl, heck I was this girl and maybe that's why I jumped at the chance of reviewing one of their products. So does it work? 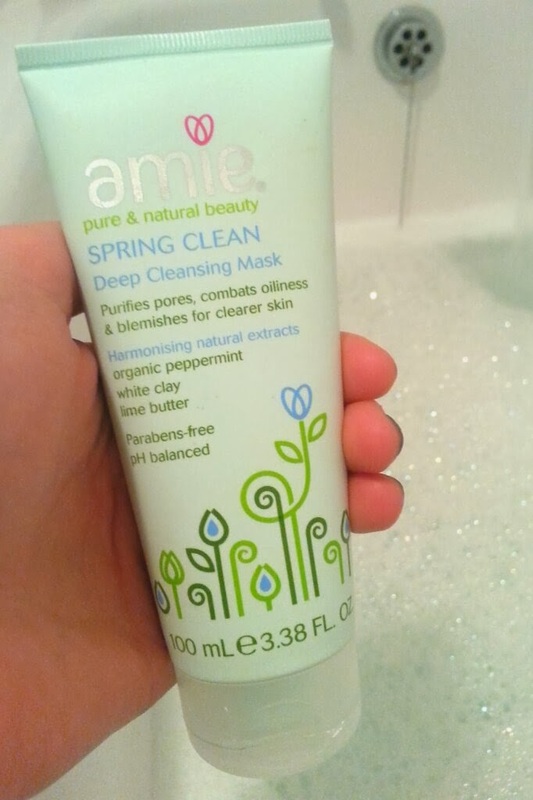 I received the Amie Spring Deep Cleansing Mask* (£5.95) in the mail, beautifully wrapped in pink tissue and it felt like Christmas. Would this be the miracle product I'd been waiting for? In short, no. There isn't and will never be a miracle skin product (that I have discovered!) and that is something I'll have to come to terms with inbetween the spots and the wrinkles - gosh we girls really have it bad don't we? But for now, I'll settle for something that comes pretty close. I tend to use this whilst I'm in the bath, the steam helps open your pores so that the're easier to cleanse. Bubbles, candles and paperback at the ready I sat back and relaxed. 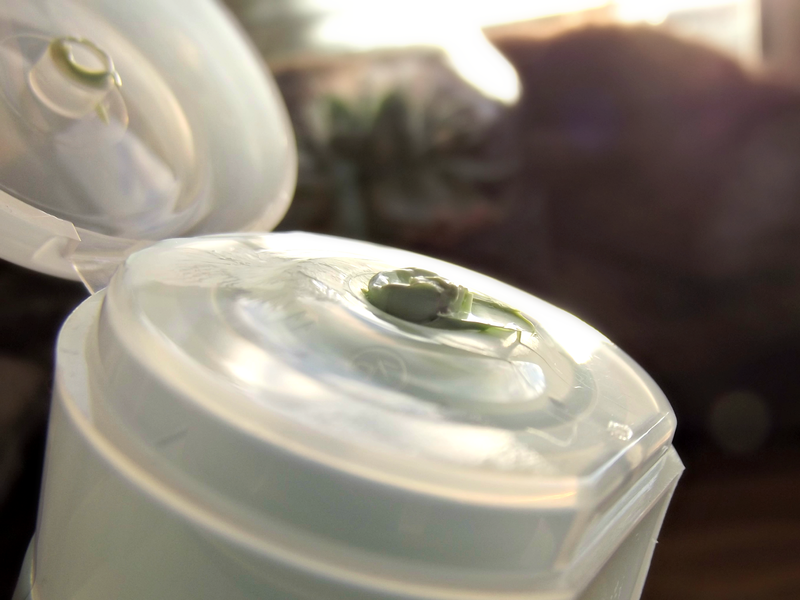 Breathing in the beautiful minty freshness. The mask dries very quickly and makes it rather difficult to talk once applied (so no long winded phone calls advised!). Ten minutes later, I removed the reminisce of the mask and it left my skin feeling beautifully soft and refreshed. Some skin treatments can be particularly abrasive, doing a fantastic job but leaving your skin red raw and blotchy. I am happy to say, this is not one of those masks. It's perfect for when you're dashing out the door in a half hour and want a last minute pampering session, or as a late-night stress buster. It's luxurious enough to be a treat but gentle enough to become part of your weekly routine. The mask launches at Waitrose stores next month!